My goodness... she is exquisite. 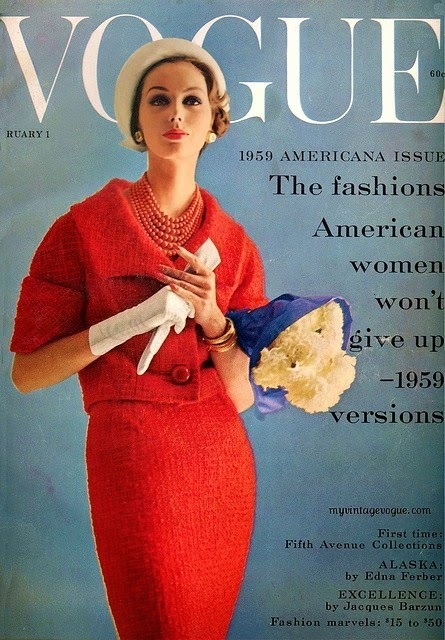 I love these vintage Vogue's from the 1950's. The clothes in them are just breathtakingly beautiful. Of course these were the golden days of never leaving home without a girdle too. So looking flawless in your pricey linen suit, was not a challenge.